I just found an annoyance with Outlook.com. It doesn't seem to automatically spell check when you are typing an email. You need to manually click "Spell Check" up on the top blue bar. (This bar only appears when you are actually composing a message.) Alternatively, you can push F7 to run a spell check. Also, your browser my provide automatic spell checking. I've been using Outlook.com in IE 9 and I've not seen any automatic spell checking so maybe I don't have that feature turned on. I know Chrome does have automatic spell checking that works great. I read this article about a Chrome extension that can help reduce the amount of memory that your Chrome browser uses. I typically have 20-30 tabs open at any given time. These are usually all of my "go to" sites that I frequent throughout the day - Facebook, Twitter, deal sites, amazon, ebay, forums, etc. As a result, Chrome can end up eating up a ton of memory and bogging down my system. This Chrome extension called The Great Suspender can be set to automatically suspend tabs that haven't been used in a certain period of time. I set it for 1 hour. When the tab is suspended, it frees up the memory that was allocated to that tab. It really does seem to work. I have 6GB of RAM in my machine and instead of typically sitting at 70-80% of RAM usage, I'll be sitting at 40-50% with most of my tabs suspended. The tabs are grayed out when they are suspended but you simply need to click on the tab and hit the banner at the top to reload the tab when you need it. I've recently switched one of my main email accounts over to the new Outlook.com which is excellent! On my main PC, I'm running Outlook 2010 and I've installed the Hotmail Connector For Outlook to give me more Exchange-like syncing experience rather than just simple POP mail. Now if I read or delete an email on my PC, it syncs that change back to Outlook.com which then syncs it to my phone, etc. This indicates an error trying to sync items between the local Outlook mailbox on your Hotmail/Live/Outlook.com . To get some more details, lets take a look at the sync log. 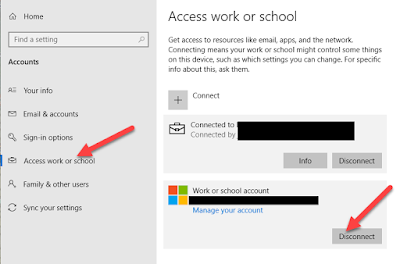 In Outlook, go to the area in the lower left were you see Mail, Calendar, Contacts, etc. and click the item called "Folder List". This shows you ALL of the folders in your mailbox, even the usually hidden system folders. Now look in your mailbox folder structure for a folder called "Sync Issues". This should contain several Sync Logs. Check out the most recent one and scroll down until you see some errors. Basically it was trying to change(sync) something in the Deleted Items folder but it was having a problem doing so. This is indicated by the Error: 1133. I tried deleting everything in the deleted items folders both in my local Outlook as well as in Outlook.com but that didn't help. Something was corrupt in my local mailbox. The next step was to delete my cached local mailbox (the .OST file) and let Outlook rebuild a fresh copy. Here you will find a file that looks like MyEmailAccountName.OST . Close Outlook and then delete or rename this file. It will wipe out your local cached copy of your mailbox. Now launch Outlook again and it will download a fresh copy of all of your folders and messages from Hotmail/Live/Outlook.com and you shouldn't have the error any longer. It worked for me! Note : it make take several minutes to download all of your email again, depending on the size of your mailbox and the speed of your connection. Update: Since finding this fix and publishing this post, I've had to repeat this process a few times over the past few months. It seems to me that the issue is probably caused by something like deleting an email from my phone and then maybe deleting it again from my local Outlook program before it's had a chance to sync with the server. So my phone has already told Outlook.com to delete the message, so it should be gone. But then the Outlook program tries to delete the same message, can't find it because its already gone, then throws up this error message.